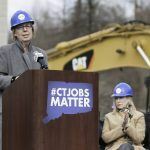 The Connecticut casino expansion debate seems as polarized as ever in the Hartford state capital. Lawmakers now have less than five weeks before the May 9 mandatory adjournment to decide the best course of action in protecting hundreds of millions of dollars in annual tax revenue that comes from from gaming. At issue is determining whether to allow a $300 million Native American satellite casino being jointly constructed by the Mashantucket Pequot and Mohegan Sun Indians on non-sovereign land in East Windsor to proceed, or halt construction in favor of initiating a competitive bidding process. Lawmakers are pondering casino expansion in response to this fall’s opening of MGM Springfield, a $960 million integrated resort that is less than 10 miles from the Massachusetts-Connecticut border. 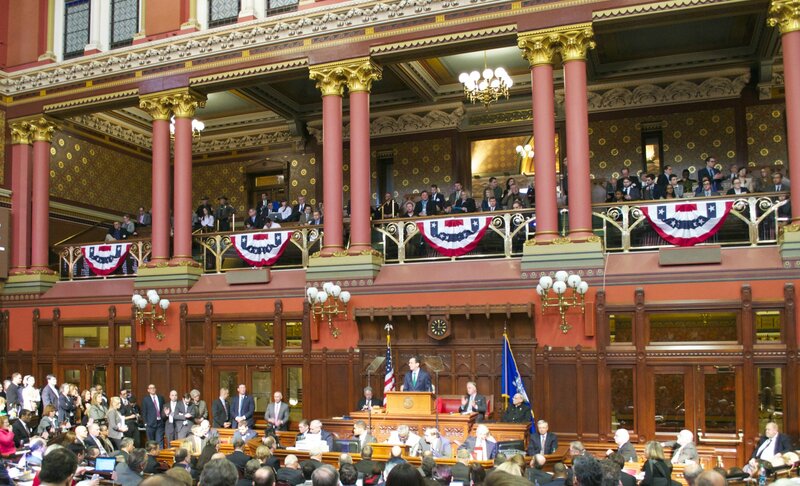 Looking to keep critical slot revenue in the state, Connecticut politicians and Governor Dannel Malloy (D) authorized the tribal casino last fall. Foxwoods and Mohegan Sun casinos share 25 percent of their slot win each year with the state, but that income has drastically decreased over the years as neighboring states continue to expand gambling. The tribes paid the state $430 million in 2007. In 2017, that figure shrunk to $267 million. The National Congress of American Indians (NCAI) entered the fray last week and called on US Department of the Interior (DOI) Secretary Ryan Zinke to issue a final determination on the tribal expansion matter. The law Malloy signed is contingent on the federal agency approving the state’s amended gaming compacts with the tribes, but to date no such authorization has been received. “The Secretary’s publication of gaming compacts is not discretionary. The Secretary may disapprove a compact only if it violates federal law or the trust obligations of the United States,” NCAI President Jefferson Keel wrote Zinke. 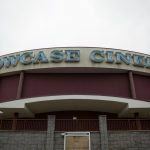 Demolition work on the East Windsor satellite casino is underway, with a former movie theater that occupies the 26-acre site being removed. 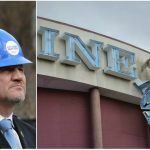 Tribal leaders had hoped to have the gaming venue open before MGM Springfield, but delays largely generated by the feds and MGM Resorts have stalled the project. Mohegan Sun Chairman Kevin Brown said the casino will not open until at least late 2019, more than a year behind MGM Springfield. MGM Resorts unsuccessfully sued Connecticut on grounds that it legalized commercial gambling by authorizing an off-sovereign land casino without voter consent. A federal judge dismissed the lawsuit saying the casino operator has no business interjecting itself in the matter. However, MGM was successful in wooing some Connecticut lawmakers into believing the company has a genuine interest in building a $675 million casino resort in Bridgeport. 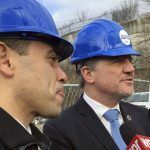 Introduced by state Reps. Chris Rosario (D-Bridgeport), Michael DiMassa (D-New Haven), and Ezequiel Santiago (D-Bridgeport), House Bill 5305 would welcome casino proposals from both tribal groups and commercial casino operators to build a third land-based venue. The legislation has passed committee and is awaiting discussion on the House floor.